A new report from WHO/Europe finds that many existing policies and regulations aimed at tackling food marketing to children are markedly insufficient, meaning children continue to be exposed to commercial messages promoting foods high in fats, salt and sugar. The report, which reviews best available evidence on policy implementation in the WHO European Region, finds that around half of the 53 countries in the Region have taken some steps to limit marketing of high fat, salt and sugar (HFSS) foods to children. A few countries have adopted legally binding rules, which specifically restrict HFSS food marketing in certain media, at certain times. Others are attempting to address the challenge of digital marketing. However, many countries still report no action, and an overwhelming preference for self-regulation by the food and advertising industries remains – an approach that is often found wanting by independent review. In addition, the evidence suggests that the impact of existing policies on reducing children’s exposure to HFSS food marketing has been limited, something that is exacerbated by changing media usage and the increasingly integrated nature of marketing across a number of different media and platforms. In May 2010, the World Health Assembly unanimously adopted the set of recommendations on the marketing of foods and non-alcoholic beverages to children. These recommendations urge countries to reduce the impact on children of the marketing of energy-dense, highly processed HFSS foods and beverages. However, the report finds that implementation of the set of recommendations continues to be patchy – despite unequivocal evidence that HFSS food marketing has a harmful impact on children’s eating behaviours and body weight, and repeated commitments made by countries to halt the rise of childhood obesity by 2025. The report, prepared with collaborators from the University of Liverpool and the Open University, of the United Kingdom, identifies existing loopholes in policies, ongoing challenges, and factors that countries need to consider in order to effectively limit the harmful impact that HFSS food marketing has on children’s health and rights. Most existing action focuses on broadcast advertising only, despite clear evidence that children are exposed to marketing through many other avenues: in the digital sphere, via product display, and through packaging and sponsorship of HFSS foods. Countries therefore need to adopt a more comprehensive approach to HFSS food marketing regulation. Existing regulations typically limit their scope to child-oriented programming and focus primarily on advertising, leaving a broad range of programmes, media and marketing techniques to which children are exposed unregulated. Countries should therefore ensure that they focus on establishing policies to effectively reduce children’s actual exposure to HFSS food marketing, rather than policies based on the classification of content or media. Existing rules typically only seek to protect children up to a certain age (typically 12 or 13 years), even though a growing body of evidence suggests that adolescents are also negatively affected by HFSS food marketing. The scope of rules should be extended to protect all children. Countries have not always adopted effective food categorization systems to determine what foods should not be marketed to children. They should ensure that they use existing, or develop new, evidence-based nutrient-profiling systems that effectively identify unhealthy food according to nutritional quality. 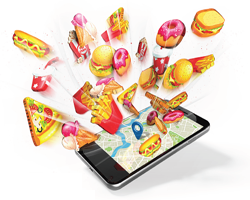 Countries have failed to effectively regulate cross-border marketing at a regional level; they should reflect on how better cooperation and harmonization could avoid weakening national HFSS food marketing restrictions and could strengthen efforts to address the global issue of food marketing in digital media. Despite the mixed picture in terms of policy development to date, interest is growing among countries and, to a certain extent, appetite appears to be renewed to take stronger actions. For its part, WHO continues to support Member States to identify solutions, notably via the annual meetings of the WHO European Action Network on Reducing Marketing Pressure on Children and an expert meeting on digital marketing of unhealthy foods that took place in Moscow, Russian Federation, in June 2018.